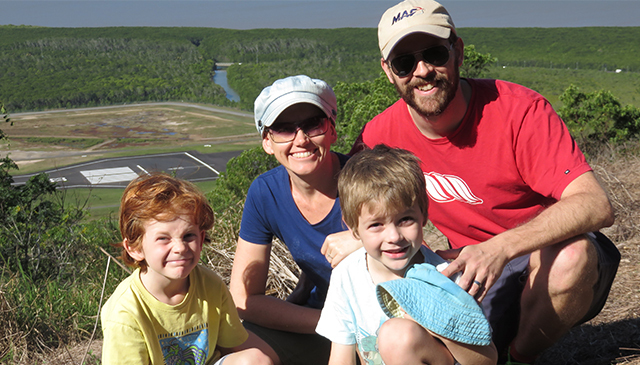 Matt & Linsey met in Melbourne whilst studying the Bible, missions, aviation and development. 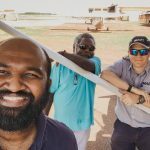 They have served with MAF in Arnhem Land and Papua New Guinea, where Matt worked as a pilot. Since 2014 they have been based in Cairns where Matt works with MAF International in an Operations Support role. Matt develops training materials for MAF ground crew⎯-the team that get planes fuelled, loaded and in the air. He also develops standards for MAF’s ground operations, administers flight tracking and makes sure pilots have the right charts and navigational data for safe flight. Essentially, Matt’s work takes a load off our Operations Managers around the world. 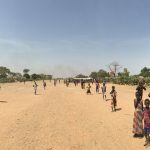 Their effectiveness is multiplied as they are released to serve more isolated people in their respective MAF programmes in places like Madagascar, South Sudan, Bangladesh and Timor-Leste. Do not fear, for I am with you: Do not anxiously look about you, for I am your God. I will strengthen you, surely I will help you, surely I will uphold you with my righteous right hand.